This is the final installment in a four-part series exploring the underlying motivations behind China's ambitious Belt and Road Initiative and the challenges that it will face. Southeast Asia is the pivot of China's sprawling 65-nation Belt and Road Initiative. The region's growing markets, numerous manufacturing hubs and abundant natural resources offer Beijing a wealth of economic opportunities. But its greater value to China is rooted in geopolitics. As the country's economy has exploded in recent decades, it has come to rely on external trade routes. Today, one of Beijing's top priorities is protecting these routes from foreign interdiction, especially in the South China Sea and Strait of Malacca. The chief goal behind China's Belt and Road Initiative is twofold: To establish secure sea routes from its coast to the Mediterranean Sea and to create alternative supply routes overland to ensure its continued access to foreign markets in the event of a maritime cutoff. Southeast Asia serves both of these ends. China's success in achieving its objectives in Southeast Asia, however, will depend in large part on the internal dynamics there. Southeast Asia is a geographically, ethnically and culturally diverse region whose constituent countries vary widely in their levels of development. And though most Southeast Asian states see the Belt and Road as an opportunity to fill critical gaps in their infrastructure, many are wary of becoming overly dependent on or indebted to their northern neighbor. As China expands its influence over the region, moreover, the Association of Southeast Asian Nations (ASEAN) has found it increasingly difficult to maintain a balance in its relations with China and the West while keeping a unified front to counter Beijing. These concerns could hold up the Belt and Road's progress in Southeast Asia. A war against ISIS that is joined to the fight against ISIS in Iraq, which is the focus of U.S.-led military efforts, and is concentrated in the populated areas of Eastern Syria. A struggle for some form of separate identity by Syria's Kurds in northern Syria that has become tied to Turkey’s fighting against its Kurdish rebels, while the Syrian Kurds have become the key U.S. ally on the ground in the fight against ISIS. A fight between the pro-Assad faction—backed by Russia, Iran and the Hezbollah—and largely Sunni Arab rebels that have been backed by the Arab Gulf states and Jordan, and have had limited U.S. support. Struggles within the Arab rebel forces that increasingly divide them between more moderate and secular forces and a steadily growing mix of Islamic extremist groups, some with ties to Al Qaeda. As Indian Prime Minister Narendra Modi visited Sri Lanka earlier this month, reports emerged that the Sri Lankan government had turned down China's request for a submarine docking in Colombo harbor. Beijing, apparently, wanted one of its submarines (ostensibly on its way to the Gulf of Aden for 'anti-piracy' patrols) to make a logistical stopover at a Sri Lankan port, but Colombo is believed to have quietly declined, after which the submarine is supposed to have been diverted to Karachi. The Sri Lankan government's decision to nix the Chinese request is likely to have been shaped by an experience three years ago, when the docking of a People's Liberation Army Navy (PLA Navy) submarine in Colombo resulted in a firestorm of protest from New Delhi. Acutely conscious of India's strategic sensitivities around Chinese naval presence in Sri Lanka, Colombo this time around moved quickly to avoid a repeat of the incident. If rejecting China's proposal made for startling optics, the message seemed directed at the political class in New Delhi. Indian observers found it curious that Sri Lankan sources cited in initial media reports were eager to portray Colombo's refusal to allow the submarine's docking in Colombo as an act of Sri Lankan solidarity with India. More strikingly, however, Beijing's request for the submarine docking nearly coincided with Modi's visit to Colombo, raising doubts about China's intentions in raising the matter in a manner that would ensure it soon went public. India needs its Henry Kissinger who could advise US President Donald Trump that US-Sino relations need not — and should not — become a zero-sum game. In a dramatic turnaround which caught analysts by surprise, Trump moved from a confrontationist to cooperative approach with China within 100 days of assuming the presidency. Not so with Prime Minister Narendra Modi. Brushing aside the glaring national power-difference with China, and the high stakes involved in hostility, he seems to have sought refuge in perception management for political dividends. There is no other way to rationalise India’s outright rejection of Chinese invitation to him and six Cabinet Ministers to participate in the recently concluded Belt and Road Forum (BRF) in Beijing. The world’s most developed countries have suffered a dramatic increase in deaths as a result of terrorism in the last year, according to the new Global Terrorism Index, despite a drop in the global number of terrorism-related deaths. There was a 650 per cent increase in fatal terror attacks on people living in the world’s biggest economies in 2015, the Global Terrorism Index 2016 reveals. However, the study also shows that across the world as a whole, the number of deaths from terrorism fell 10 per cent to 29,376, compared to the previous year. Here’s a look at the 10 most dangerous countries in the world. With 289 deaths in 2015, India ranks seventh in the world of countries most affected by terrorism. The deaths from terrorism in India decreased to the second lowest level since 2000. However, there were four per cent more attacks, totalling 800 and representing the highest number since 2000. The statement abandons the typical language Indian officialdom crafts to be as inoffensive as possible to the greatest number of countries. Citing India’s commitment to physical connectivity “in an equitable and balanced manner,” the statement itemizes a series of principles for infrastructure projects that sound like a World Bank investment monitoring report: “must be based on universally recognized international norms, good governance, rule of law, openness, transparency and equality” “must follow principles of financial responsibility to avoid projects that would create unsustainable debt burden for communities”“balanced ecological and environmental protection and preservation standards” “transparent assessment of project costs” “skill and technology transfer to help long term running and maintenance of the assets created by local communities” “must be pursued in a manner that respects sovereignty and territorial integrity” India obviously believes that Belt and Road projects do not meet the above criteria. 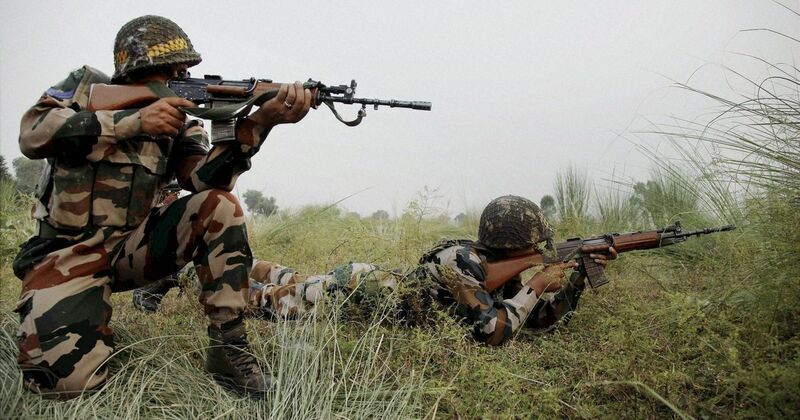 The Indian Army on Tuesday announced that it had carried out punitive assaults on the Line of Control to deal with the infiltration attempts supported by Pakistani firing. In an unusually public briefing, Major General Ashok Narula spoke to the press and said that the Army was attempting to dominate the line of control as part of its counter-terrorism efforts, especially ahead of the summer when it is easier for militants to cross the LoC. Narula even released a video which, he claimed, showed a Pakistani post beyond destroyed by Indian firing, proof of the Army’s ‘punitive assault’ approach. The decision to make a public briefing is rather unusual, since the Army tends to either speak directly to the opposing army or respond in kind to any provocation. Although Narula didn’t mention it, the timing of the video – which the Army dates to May 10 – seems to suggest that it is in some measure retaliation for what the Indian government said was the mutilation of two soldiers by Pakistani troops earlier in May. 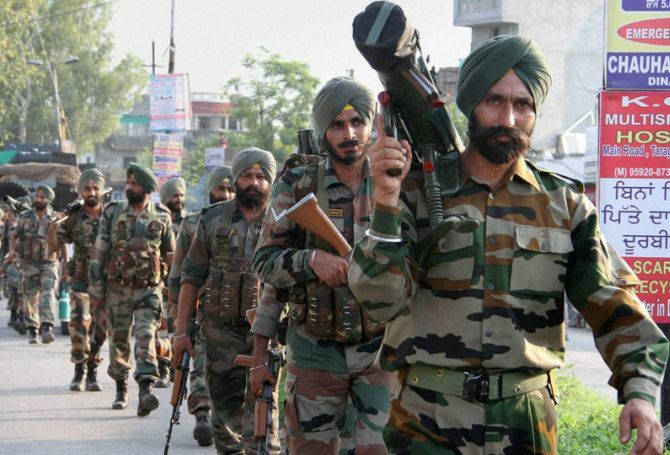 Though the Army insists it is currently attempting to dominate the LoC ahead of the summer infilitration season, it is hard not to draw connections to the earlier fracas. China steps up its challenge to India by signing an accord with Pakistan to fund and build two mega-dams in Gilgit-Baltistan, which the United Nations recognizes as a disputed region and part of Jammu and Kashmir. China, which is working to re-engineer the trans-boundary flows of rivers originating in Tibet, has taken its dam-building frenzy to Pakistan-occupied Gilgit-Baltistan, which is part of Jammu and Kashmir. In a new challenge to India, which claims Gilgit-Baltistan as its own territory, China will fund and build two Indus mega-dams at a total cost of $27 billion, according to a memorandum of understanding (MoU) signed in Beijing during Prime Minister Nawaz Sharif’s visit. The MoU came the same day India announced its boycott of China’s “one belt, one road” (OBOR) summit, saying no country “can accept a project that ignores its core concerns on sovereignty and territorial integrity”. Such is the mammoth size of the planned 7,100-megawatt Bunji Dam and the 4,500-megawatt Bhasha Dam that India does not have a single dam measuring even one-third of Bunji in power-generating-capacity terms. In fact, the total installed hydropower generating capacity in India’s part of J&K currently does not equal the size of even the smaller of the two planned dams in Gilgit. Still, Pakistan disingenuously rails against India’s modest hydropower projects in J&K and has sought fresh international arbitral tribunal proceedings against India over two projects, including the tiny 330-megawatt Kishenganga. The possibility that more U.S. troops will be deployed to Afghanistan, a move that is reportedly under consideration by the Trump Administration, was critically examined by the Congressional Research Service in a new report. One source of uncertainty concerns the shifting U.S. strategy in the region. “Given the complexity of the campaign, along with the imprecise nature of U.S. goals for the region and absent a definitive statement from the Trump Administration regarding its priorities, it is currently difficult to evaluate the likely impact that additional forces may have.” See Additional Troops for Afghanistan? Considerations for Congress, May 19, 2017. 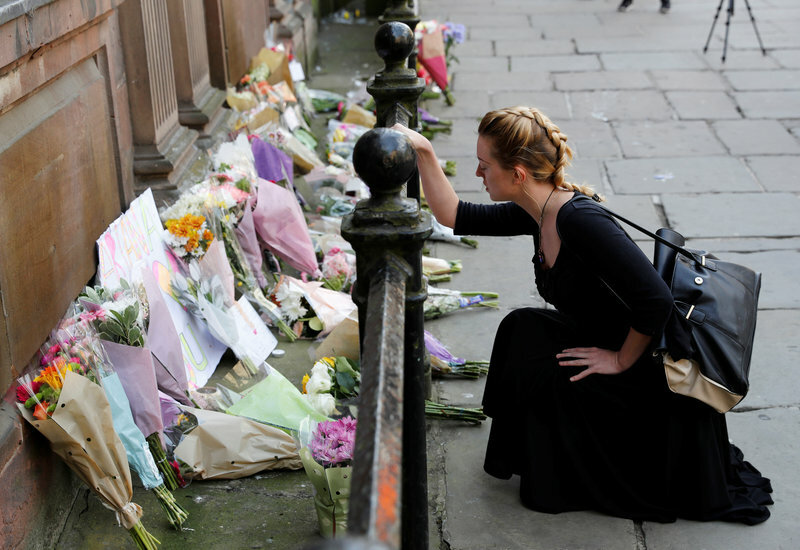 The suicide bomber attack on 22 My 2017 at a Manchester concert stands out analytically as an Islamic jihadi terrorist attack, once again manifesting that this scourge visiting liberal democratic societies is not going to fade away. SHANGHAI — China has gone on a spending spree, borrowing money to build cities, create manufacturing giants and nurture financial markets — money that has helped drive the economic powerhouse in recent years. But the debt-fueled binge now threatens to sap the energy of the world’s second-largest economy. With its economy maturing, China has to pile on ever more debt to keep its growth going, at a pace that could prove unsustainable. And the money is increasingly flowing through opaque channels that operate outside the regulated banking system, leaving China vulnerable to blowups. A major credit agency sounded the alarm on Wednesday, saying the steady buildup of debt would erode China’s financial strength in the years ahead. The agency, Moody’s Investors Service, cut the country’s debt rating, its first downgrade for the country since 1989. China’s debt problems stem from the global financial crisis in 2008. 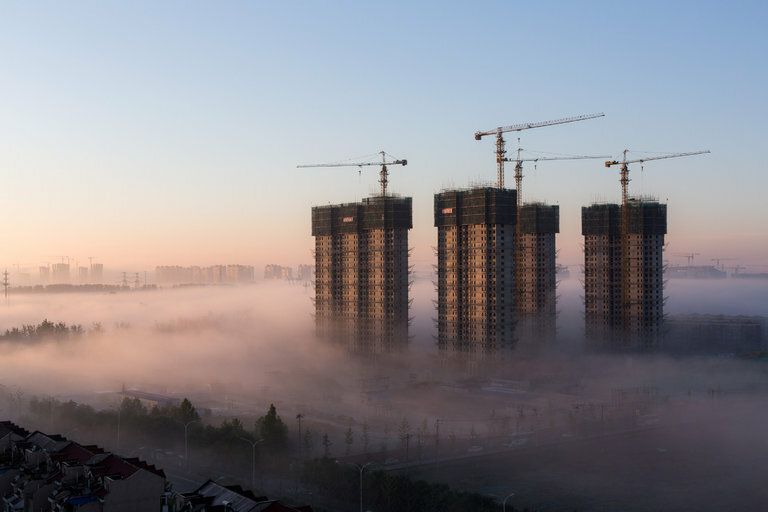 As world growth faltered, China unleashed a wave of spending to build highways, airports and real estate developments — all of which kept its economic engine chugging. A year ago, there were real fears that contested claims over tiny specks of coral in the South China Sea could spark a war in Southeast Asia involving China, the 10 ASEAN member states and the US. The risks greatly multiplied after a special tribunal convened in The Hague under the Law of the Sea ruled in July 2016 that China’s territorial claims in Philippine waters had no legal basis. What has transpired since then demonstrates the pragmatism of regional states, the limited extent of US influence in Asia, and says a lot about how China intends to wield power. There was some dangerous brinkmanship in the lead-up to the July ruling. The US and China postured aggressively, using a mixture of rhetoric and sabre-rattling. China showed no sign of backing down from its claims, swiftly building runways and installing weaponry on some of the disputed islands. The US sailed warships and flew aircraft close to some of the islands, claiming the right to conduct freedom of navigation operations. China is determined to close that gap, but it has not yet succeeded in doing so. Last year, Beijing setup the Aero Engine Corp. of China (AECC) as part of its efforts to solve the problem. The firm has $7.5 billion in capital and 96,000 employees. According to a CNN report, Beijing's most recent five-year development plan states that developing and producing indigenous engines is one of China’s most important goals. In my previous post, I wrote that, at least in Southeast Asia and Northeast Asia, China’s massive soft power offensive is not likely to succeed. A decade ago, when I wrote a book on China’s then-rising soft power, it might have; Beijing was perceived more favorably by its neighbors back then, in part because it had been relatively modest in exerting its hard power influence in Southeast Asia. Now, after a decade of squabbling over the South China Sea and East China Sea, and a rising Asian arms race, China’s hard power has become significant, and threatening to neighbors. This hard power, delivered in a manner many Southeast Asian nations view negatively, undermines the entire soft power effort. An influential Chinese defence adviser explicitly called the navy installation China is establishing in the East African country of Djibouti a “military base” and said China will need more facilities like it to protect the nation’s growing overseas interests. Professor Jin Yinan, a retired major general and former director of the strategic research institute at the PLA’s National Defence University, told an open forum in Hong Kong on Thursday that he expects the project will be finished and soon put into service. But his description of the installation as a military base was a striking departure from Beijing’s past descriptions of the project as a “support facility”. Thousands of civilians fled fighting in the Philippines on Wednesday as troops tried to fend off Islamist militants who took over large parts of a city, capturing Christians, seizing and torching buildings and setting free scores of prisoners. Even if the Navy did set the requirement for the number of SSNs at a higher level, it is not clear what the service can do to address the shortfall. Richardson said, for example, the service could look at further extending the lives of some of its Improved Los Angeles-class submarines and building an additional Virginia-class boat in fiscal year 2021 onwards so that production remains at two SSNs per year. “We’re looking at every trick we’ve got,” Richardson said. After the Manchester Terror Attack: What Comes Next? To address the problem, Congress and the president must work together to enact a responsible, pro-growth budget that puts spending and taxes on a sustainable path to balance. Budget cuts in President Donald Trump’s proposal to Congress this week are a key step on that path. America’s annual deficit—the difference between what the government spends and collects in taxes each year—is projected to rise steeply over the coming decade and to continue growing from there. The deficit is projected to surpass $1 trillion in nominal terms before the 10-year mark, and then to keep rising. In terms of the size of the economy, deficits are projected to rise from 2.9 percent of gross domestic product this year to 9.8 percent 30 years from now. Deficits reached this level at the height of the Great Recession, but current projections assume the deficit will rise to such levels even without another severe economic crisis. Instead, a combination of demographic changes and health care costs, combined with projected growth in interest on the debt, is driving this fiscal explosion. Terrorism fears, terrorism hysteria, terrorism facts. Summary: Again terrorism dominates the headlines. How serious is the threat to Europe? To the US? The numbers tell the story. They also reveal something important about America. — Islamic terrorists have killed six Americans per year since 9/11. Said to Business Insider by John Mueller, a foreign policy expert at the Ohio State University and co-author of Chasing Ghosts: The Policing of Terrorism . “Watching cable TV and listening to radio last night and this morning, I found myself trapped in an endless loop of panicked victims screaming and fleeing the suicide bombing at a concert in Manchester, England. Shaky witness cellphone video aired again and again, and the image of a girl leaping off a staircase lodged in my mind. Forty-five years ago, the international community signed a global convention banning biological weapons. Two decades later, it concluded a similar accord categorically rejecting chemical weapons. Now, after decades of deadlock over disarmament, the United Nations is developing a treaty to prohibit the worst of all weapons of mass destruction: nuclear weapons. At an event in Geneva on May 22, Costa Rican ambassador Elayne Whyte Gómez, who is presiding over negotiations on the historic treaty, unveiled the first draft text and took questions from the world’s media. The draft broadly reflects the discussions and input received during the first round of negotiations, held in New York in March. More than 130 nations participated in that session. Notably absent were the nine nuclear-armed nations and most of their allies that claim protection under a “nuclear umbrella.” But this boycott—which had been widely anticipated—is no barrier to the treaty’s adoption. The new law will advance disarmament by stigmatizing nuclear weapons and establishing the foundations for their elimination. Formal work on the “legally binding instrument” will resume on June 15. Many of the participating nations are quietly confident that agreement can be reached by July 7, the final day set aside for negotiations this year under the mandate given by the UN General Assembly. As there is no strict requirement for consensus, a troublesome few cannot block the process. The initial draft provides a solid basis for achieving a successful outcome in July. It clearly conveys the deep humanitarian concerns that gave rise to this important and long-overdue UN initiative, and draws from global norms against other inherently indiscriminate and inhumane weapons, including biological weapons, chemical weapons, anti-personnel landmines, and cluster munitions. On May 4, Army Chief of Staff General Mark Milley provided a rare public glimpse into his thinking about the future of the U.S. Army. One of your loyal columnists had the privilege of interviewing him during an event sponsored by the Atlantic Council, and asked him about many of the issues we’ve written about in previous columns and elsewhere. Milley was a surprise pick to lead the Army. He is an unorthodox thinker who has challenged Army conventions on a number of issues. In this wide-ranging interview, he was characteristically blunt, serious, original — and occasionally quite funny. Milley’s last 15 years in uniform closely resemble those of many officers he now leads: four combat tours in Iraq and Afghanistan, including command of the Army’s III Corps in combat. An infantry and Special Forces officer by trade, his professional world since 2001 has been deeply shaped by unconventional conflict, battling insurgents and terrorists — campaigns the U.S. Army continues to fight today. If any officer should see combat through the lens of today’s wars, it is Mark Milley. IBM made history in 1997 when its computer Deep Blue won a chess match against the reigning human world champion. Since that time, human-machine pairings have become the best chess-playing teams in the world. In freestyle chess, players may use any aid, including computers, to conduct moves in a limited time. Thomas H. Davenport and Julia Kirby in their book, Only Humans Need Apply: Winners and Losers in the Age of Smart Machines (Harper 2016), catalog how winning teams used multiple computer tools, applying moves from each as the development of the matches created situations where the relative strengths of each automated system offered advantages. Maritime operational intelligence (OPINTEL) is another great example of where human-machine teams could be a game changer. OPINTEL involves a more complex and unbounded realm than fixed-ruled chess. Nonetheless, operations at sea—like most human activities—fall in to patterns. To be functional and proficient, ships must move through a cycle of maintenance, training, and operations. Similarly, keeping vigilant watch on a disputed area requires an adversary navy to maintain presence and proximity. These patterns lend themselves to rules. The fusion of multiple disparate data sources can identify patterns not apparent to most human analysts. Air and naval intelligence often are different functional bins in our thinking, and few human analysts bring a varsity understanding of both mission areas. Thus, it is all the more heartbreaking to read of the carnage that its citizens are now coping with, following a suicide bombing at the Manchester Arena that claimed at least 22 lives. The attack is all the more enraging and dismaying for having targeted the young fans of Ariana Grande, some as little as elementary schoolers. What kind of monster deliberately kills children? If we are to credit that organization’s claim of responsibility for the Manchester bombing, precisely the kind of monster that ISIS creates. 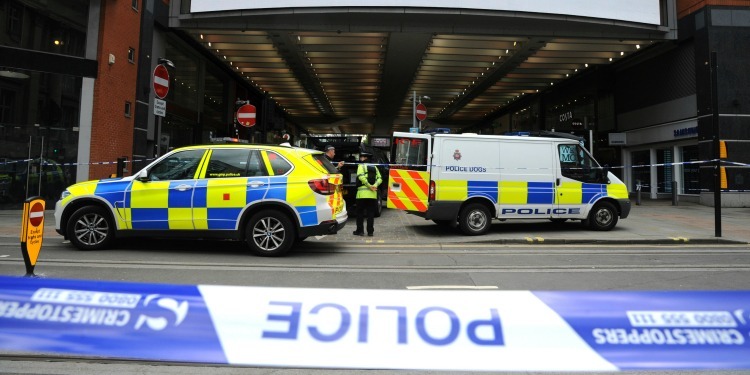 News reports are still sketchy, but it appears that a suicide bomber set off his explosives not inside the arena itself but directly outside of it, near the box office, while concert-goers were leaving the arena after the conclusion of the performance. If accurate, this indicates the limits of security measures: While it’s possible to screen those going inside, there will always be vulnerability outside the security checkpoint. No perimeter can be extended far enough to keep everyone safe; indeed, in Iraq, the lines of people waiting to go through security checkpoints were often struck by suicide bombers. This is a grim reminder of how difficult it can be to stop fanatics. Difficult, but not impossible. One of the emerging trends in today’s expanding cyber espionage landscape has been China’s emergence as the leading practitioner of economic cyber espionage. What does the trajectory of Chinese economic espionage look like, and where do we still see barriers to the establishment of effective norms barring the practice before it becomes common among developing countries that will soon possess their own cyber capabilities? Cyber economic espionage is the theft of intellectual property, trade secrets, and business intelligence to gain an advantage in negotiations. It is distinguishable from more traditional, and more accepted, forms of political espionage. However, practical enforcement against economic espionage based on intent is hard, and such differentiation implies that economic well-being and national security may not be deeply linked. The cyber threat landscape is constantly evolving, with different strains of malware attacking network systems every day. Organisations are losing the cyber war and, as a result, cyber security needs to evolve to combat the growing problem created by cyber attacks. This may take the form of security systems integrated with AI or simply stricter regulations so organisations will take the threat more seriously. Over the next five years, cyber security will evolve. But in what ways? Will the balance of the cyber war change, or will hackers still reign supreme? Information Age asked ten cyber security experts for their views on how the cyber security landscape will evolve in the next five years. Security vendor Check Point’s regional director for Northern Europe, Nick Lowe, suggests that the standard cyber security practice will see automated responses to cyber attacks. MOSCOW, May 15. /TASS/. A sole virtual battlefield that provides the means for testing robots and drones has been developed for the Russian Army, Kronstadt Group CEO, Armen Isaakyan, told TASS in an interview. “We have developed a new version of the Combat virtual trainer that now includes drones and robots and is more flexible and able to integrate with other developers’ synthetic trainers,” he said. “Combining mathematical models with the visual display system in a sole virtual 3D space with a realistic environment makes it possible to model and optimize the operation of joint force groups, including manpower and any equipment such as helicopters, tanks, armored personnel carriers, drones, and robots,” Isaakyan explained. The virtual battleground provides the means for fine-tuning robot functions and detecting errors right at the design or pilot stage. “This, no doubt, cannot fully replace field testing, but is very important for developing new technologies and products,” he stressed. Any vehicles – land, sea and air – can be integrated into the virtual battlefield. It can be effectively used for a joint force group, for instance, a brigade.